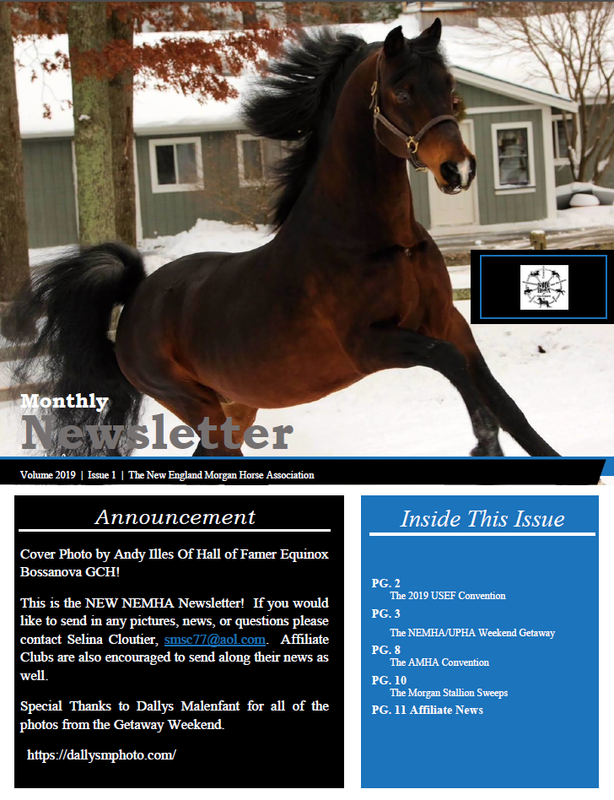 Welcome to the New England Morgan Horse Association! With your membership comes an opportunity to join hundreds of other Morgan owners and lovers in the New England region and throughout the country in celebrating the versatility of the great Morgan horse. 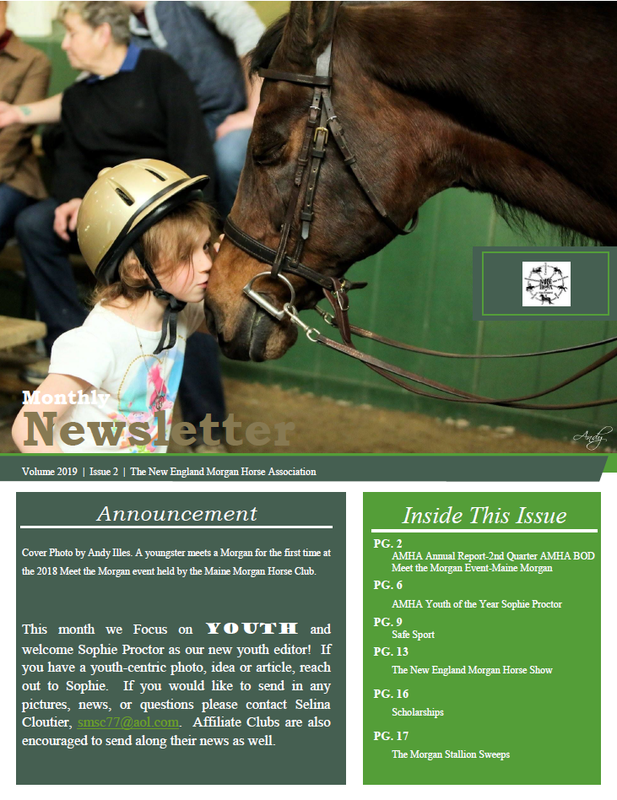 Morgan activity is thriving throughout the New England region and as a member of the NEMHA you are guaranteed many opportunities to enjoy a variety of Morgan horse activities as well as the camaraderie of Morgan enthusiasts. As an organization, we represent Morgan versatility at its very best. Our owners use their Morgans for pleasure and trail riding and driving; carriage competition from local to international events; dressage events; horse showing from local to national events; competitive trail riding; reining; and as treasured back yard pals. Whether they own one or many Morgans, our members always enjoy sharing their Morgan experiences with their NEMHA friends. Our membership includes officers in other state and national Morgan organizations, long time Morgan professionals, renowned Morgan breeders, instructors whose lesson programs showcase Morgan horses, and the many people who own Morgans just for the fun! Congratulations to all the winners and thank you to all who aided in the success of the program to support Morgan breeding! 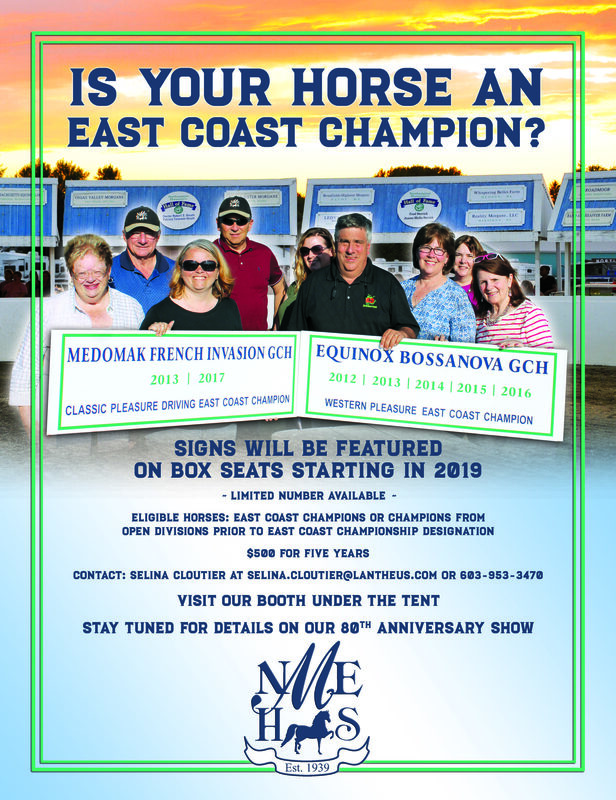 The ticket sales will support a 2 Year Old Park Harness class at the New England Regional Morgan Horse Show in July with prize money being paid through eight places. To learn more, visit morganstallionsweeps.com or reach out to committee members: Jenny Taylor, Peggy Alderman, Lynn Peeples, Steven Handy, Amanda Hill or John Lampropolous. If you would like to rescind your ticket purchase due to the date change, please reach out to Steven Handy at 508.944.0787. Up to $7,500.00 will be awarded! 1. You must be a current member of New England Morgan Horse Association. 2. You must be actively involved with Morgan Horses. 3. You must be attending school or an apprentice program in the fall. 4. Please submit an essay showing your commitment to and passion for the Morgan Horse. 5. Please complete the application and provide two letters of reference. One which must be from a member of the New England Morgan Horse Association. 6. If selected, proof of acceptance to or attendance at a college or Apprentice Program before the scholarship money is given. 7. You may only win this award once. Scholarship Winner will be announced and presented at the New England Morgan Horse Show during the Youth Contest Awards Banquet! 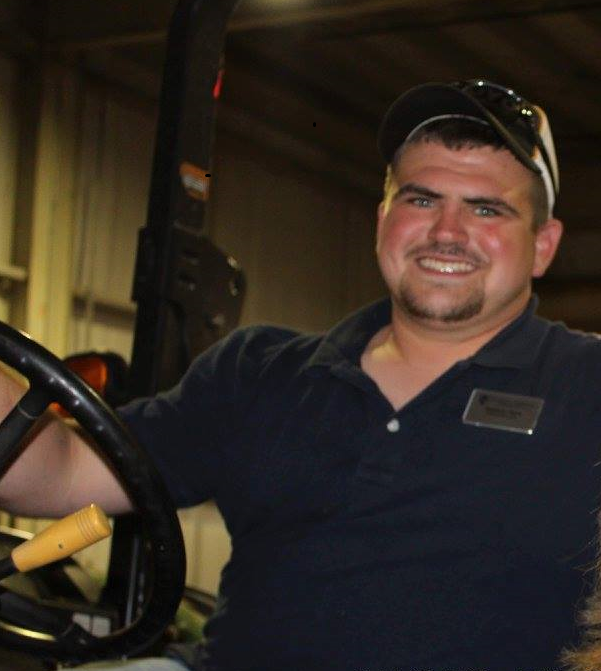 The Stephen F. Nava Memorial Vocational Grant is offered to a young man or woman who is preparing to enter the world of work. The recipient’s family must be or have been involved in the Morgan horse world. He or she should demonstrate the enthusiasm, the skills, and the competence for his or her future employment that Stephen Nava exhibited in his work over the years of his young life. These goals need not be directly related to the Morgan horse industry. The New England Morgan Horse Show is pleased to offer this memorial grant for young adults under the age of 25 years. Applications should be made with a proposal including an exact plan for the use of the funds for the achievement of goals within the applicant’s chosen field. A letter of referral should be included from a New England Morgan Horse Association or American Morgan Horse Association member.